April 15, 1913 – The South Park Commission decides to initiate its plans to improve the lake front from Grant Park to Jackson Park after the Illinois Supreme Court refuses to consider a case protesting a contract between the commission and the Illinois Central Railroad signed during the previous summer, an agreement giving the city riparian rights in exchange for larger terminal facilities for the railroad. 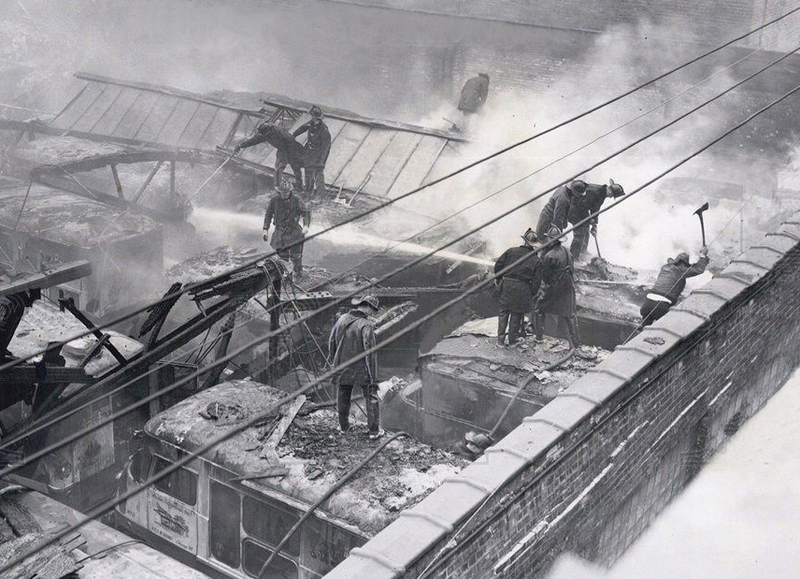 The improvement program is an ambitious one, beginning with the demolition of the Illinois Central station at Park Row, approximately where Roosevelt Road runs today. New boulevards are planned, along with additional bathing beaches, a lengthy lagoon, and the construction of the Field Museum. Ground was broken for the museum on July 26, 1915. The railroad terminal remained standing until it was razed in 1974. Most importantly, another step was taken toward recognizing the significance of the city’s lakefront … and taking action to ensure its importance for the future. 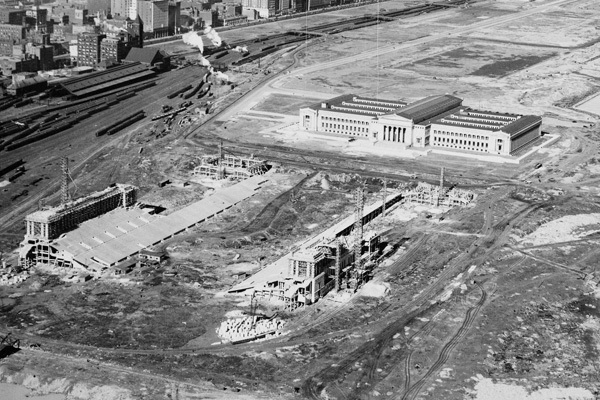 The above photo shows the Field Museum a decade or so later with Soldier Field rising to the south as the land east of the Illinois Central Railroad tracks begins the transformation into public park land.